Gwent is a card game in The Witcher 3: Wild Hunt that forms one of its biggest side quests and lets you kill time instead of monsters. You build a custom deck, which contains a leader, at least 22 unit cards, and up to 10 special cards. 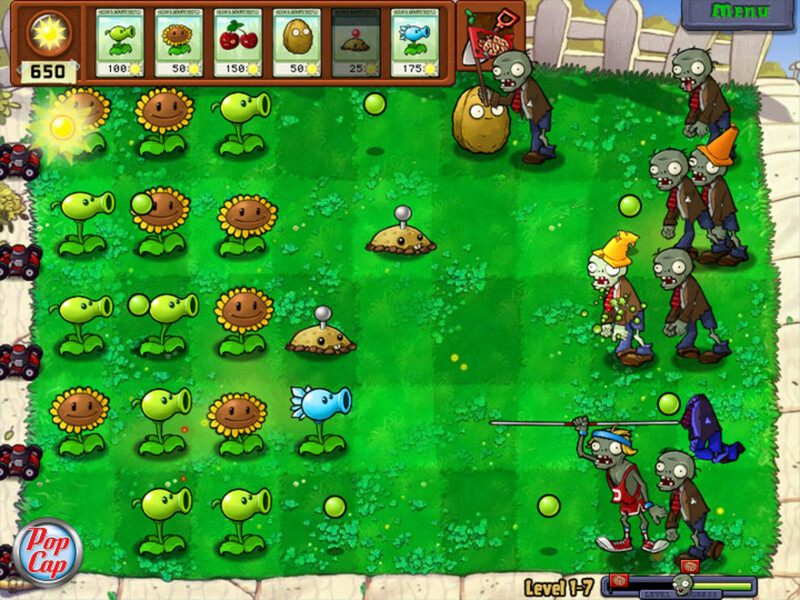 Then, players draw 10 cards from their deck and take turns placing cards with different power values until one player passes; whoever has more total power wins the round, and the best two of three rounds wins the game. Gwent isn't terribly difficult to learn, but a variety of special card effects offer more strategy than you might think; how can you best master the game? 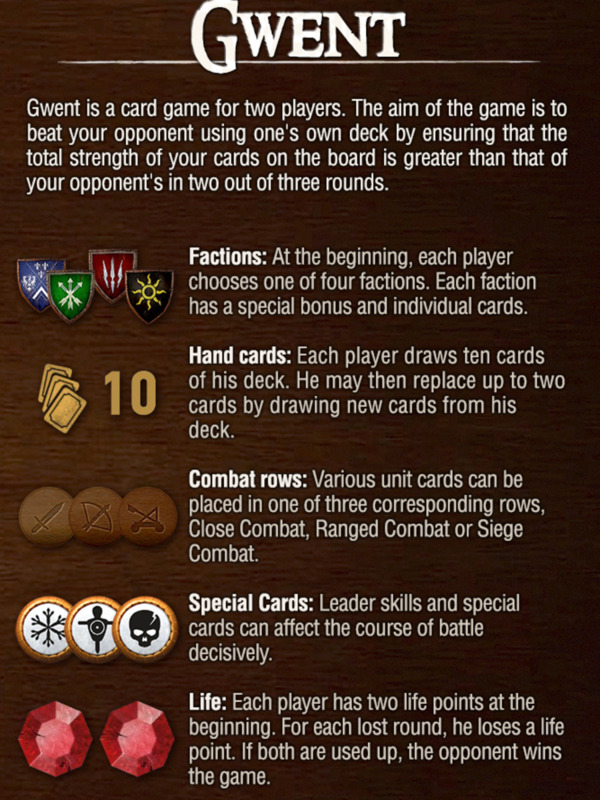 Here are ten basic tips to help you win Gwent matches in The Witcher 3! First things first: avoid repeated matches with the tutorial Gwent player, as you can't bet and won't earn money. 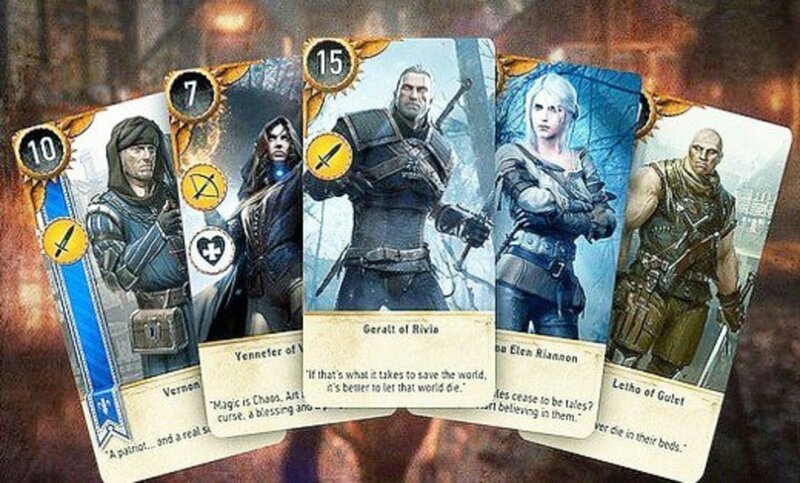 Instead, try traveling and expanding your deck; several merchants offer a few Gwent cards in their wares and will be up for a round. Additionally, the first time you defeat a new rival, they'll grant a card in addition to your normal winnings, so search high and low to rapidly increase your deck-building options. Also be sure to bet the full amount (ten crowns) each game, maximizing your profit. If you lose, you can reload a save file from before the game, immediately regaining your gold. 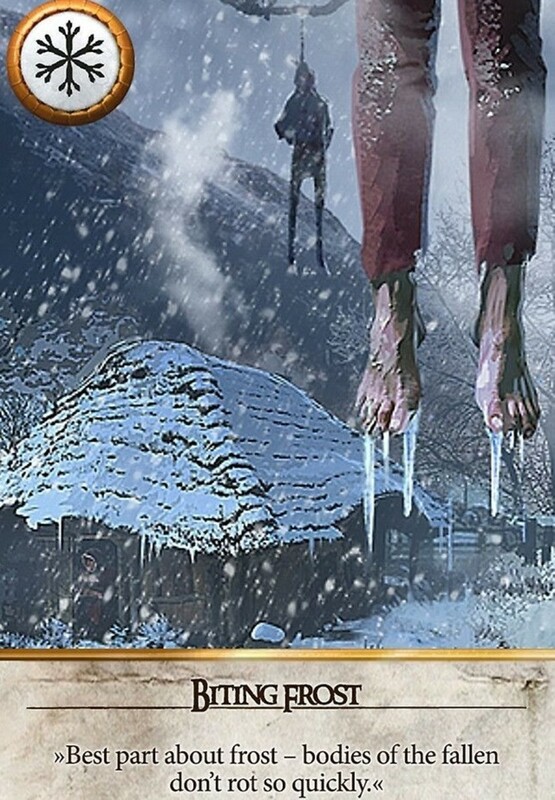 While not the most sporting tactic, it's the fastest way to accumulate Gwent earnings with no risk of loss, and NPCs never run out of gambling money. After your opening hand of ten cards is drawn, you won't naturally draw any more cards for the rest of the match (an interesting departure from most trading card games). However, you're offered the chance to mulligan (return) up to two cards back into your deck, hopefully drawing something better. Rarely will you immediately nab the perfect opening hand; be sure to carefully examine your cards to see what you should keep and what you should toss. When you place a spy card, you actually put it onto your opponent's field, strengthening their army. However, you get to draw twice, adeptly replenishing your hand. Thus, you actually want spies with lower power, ensuring you only grant meager units to your opponent. And for a potent combo, place a spy and a weather effect (which reduces the power of certain cards, see below) to minimize your opponent's profit as you gain card advantage. Spies also work great when you know you'll lose a round; might as well stockpile cards for future moves. And remember that medics can revive spies used against you from your discard pile, letting you place them onto your opponent's field and claim their coveted two card bonus. Your starting deck comes with a variety of special weather cards, which can be helpful but aren't quite as dominating as they initially appear. 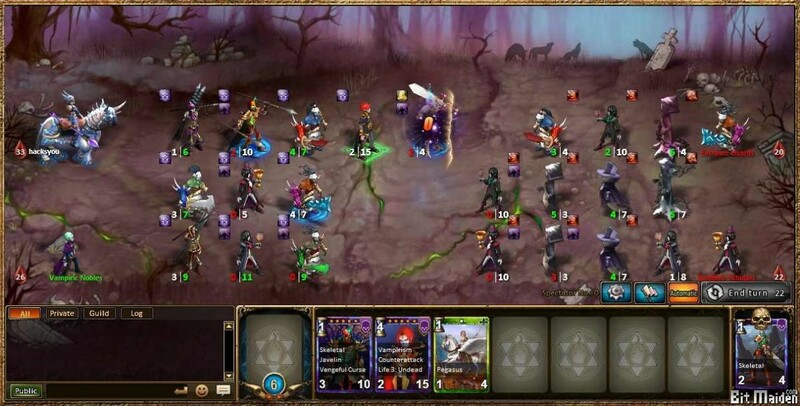 When played, a weather card reduces the power of all units of a corresponding type (including your own) to one for the round. 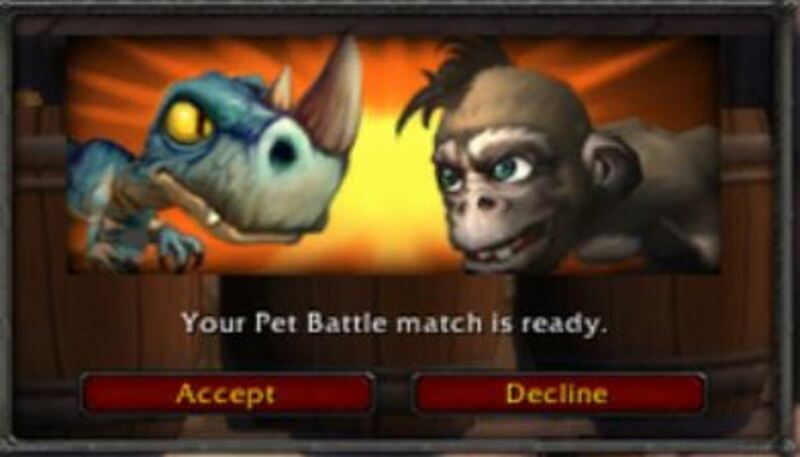 This can heavily debuff your opponent's team, but you'll suffer the same penalties and you don't know what card types your opponent favors until you face them, so ignore the temptation to oversaturate weathers. After all, remember that hero cards (which are basically stronger units) are immune to debuffs, limiting their effectiveness, and that weather effects can be removed with the "Clear Weather" card. 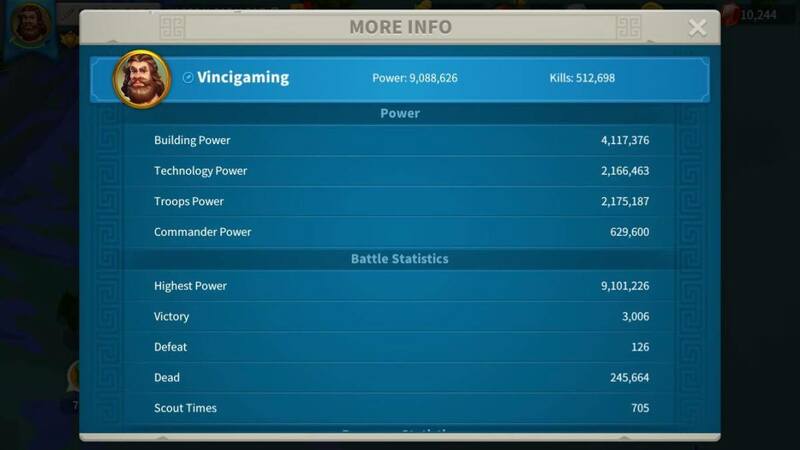 A few might be okay, but I'd recommend switching to specials like power-doubling "Commander's Horn" or"Scorch" (which kills the strongest unit on the field) once you collect them. This one's pretty simple. You can have more than 22 unit cards in your deck, but (like real-life trading card games), you should minimize the amount to optimize your chances of drawing your best cards. Remember, you don't draw a new card each turn in Gwent, meaning you'll never have to worry about deck-out losses and shouldn't be afraid to have a lower deck count. 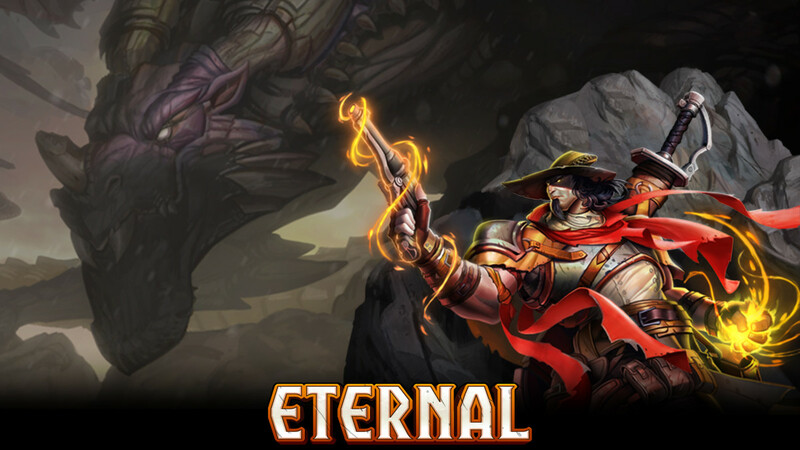 Units with the muster ability let you play additional copies of cards bearing the same name from your deck. Thus, you can potentially field 3 or more troops with a single play while only spending one card from your hand, quickly overwhelming foes with your sizable combat totals. This works particularly well with Commander's Horn, which doubles the strength of your entire group. Try to avoid repeated copies of the same muster cards in your opening hand; use your mulligan to shuffle extras back into the deck, letting you search them out while keeping your hand stocked with other units. Muster is a powerful effect, but your starting deck doesn't contain any such cards, so it'll take time to fully unlock. 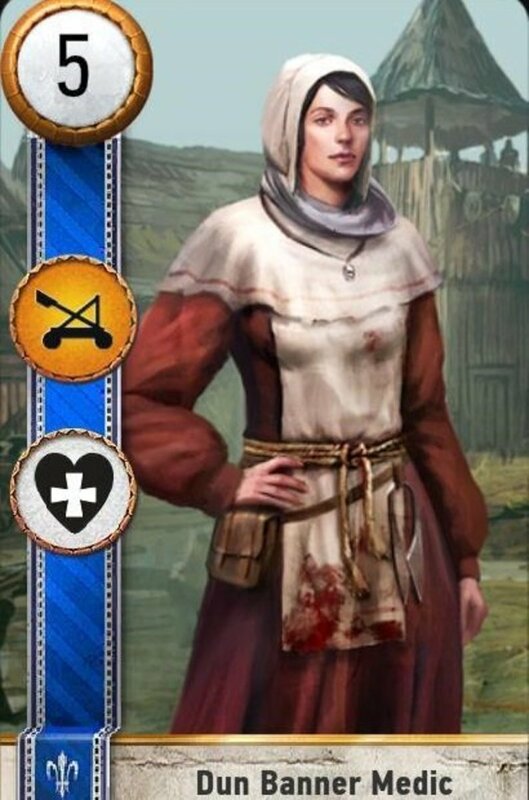 Heroes are simply the strongest unit cards in the game, bearing incredible combat scores and sometimes other traits. They're immune to special effects, so you don't have to worry about weather effects weakening them or losing them to Scorch. However, by the same token, they also ignore positive boosts, so they won't be strengthened by Commander's Horn and can't be revived with medics. Thus, in the later stages of the game when you've amassed several heroes, you might want to start gradually replacing the power-increasing supports in your deck. 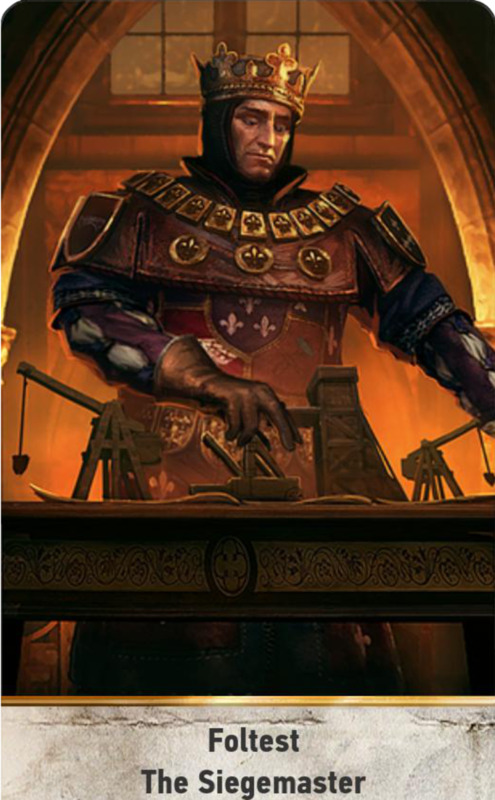 Each of the four factions has different leaders, units, and a unique passive ability. 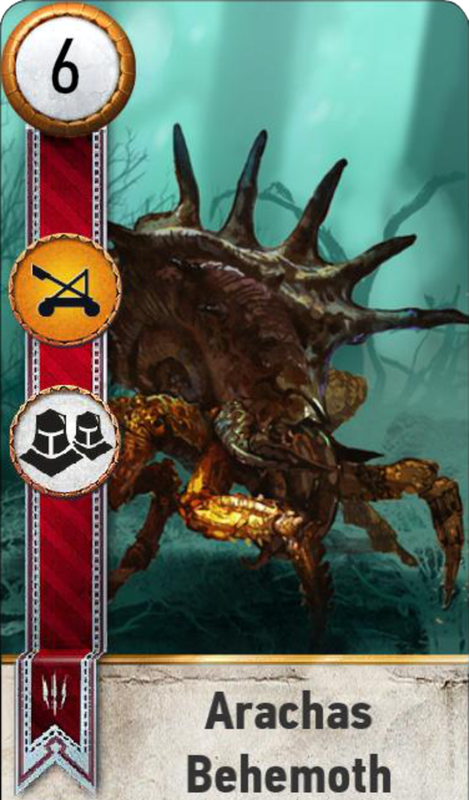 I recommend Northern Realms (especially since you start with many of its cards) and Monsters for their powerful effects, and suggest neglecting the Scoia'tael group. Choosing to go first or second for a single round just can't compare to an extra draw, free monster, or tie-breaking power; Thus, you should overlook green decks, but they make easy pickings for scoring some cash off NPCs. Remember, each leader offers an ability you can use once per game; be sure to tailor your deck around your commander's theme. 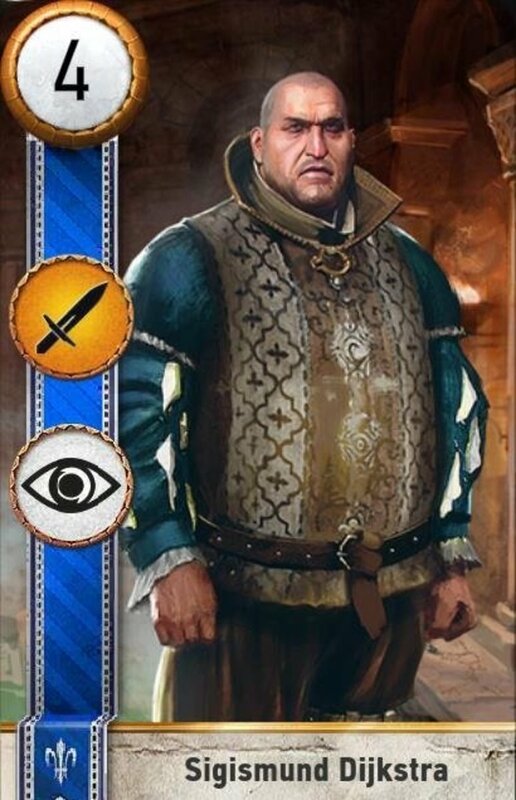 You don't begin play with many leaders unlocked, but you can soon find the Northern Realms general "Foltest: The Siegemaster", who doubles the strength of your siege cards for the round. This works especially well considering the prominence of siege cards in your beginning deck; Foltest can take you through the entire game if needed. But if you branch out into other generals, be sure to adjust your deck accordingly. Medics offer my favorite special effect in the game: when you play one, you get to revive a unit card from your discard pile (assuming it has one). Thus, you essentially gain an extra warrior in addition to your medic's power, providing an excellent two-for-one package. Unless you get Scorched, you probably won't have any discarded cards in your first round, so you should save Medics for later stages of the game. And while they're powerful tools, note Medics can't revive heroes or specials, only regular units. That said, they can revive other medics, letting you chain multiple medic effects together for a deadly combo! 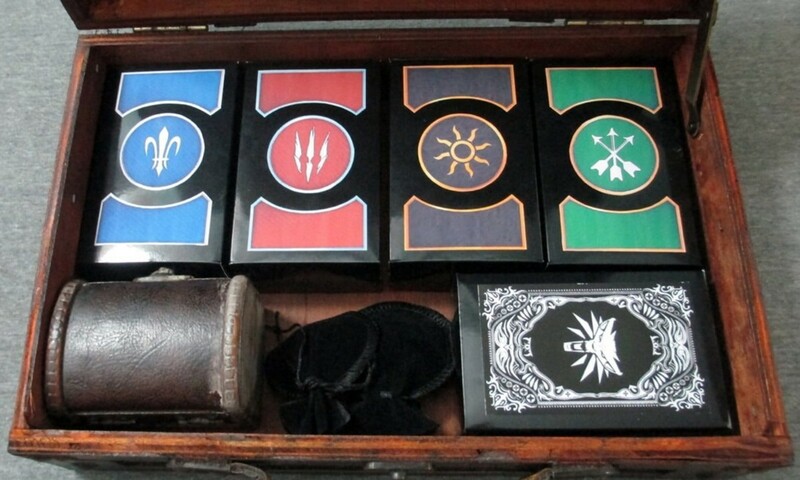 Which Gwent faction do you prefer? 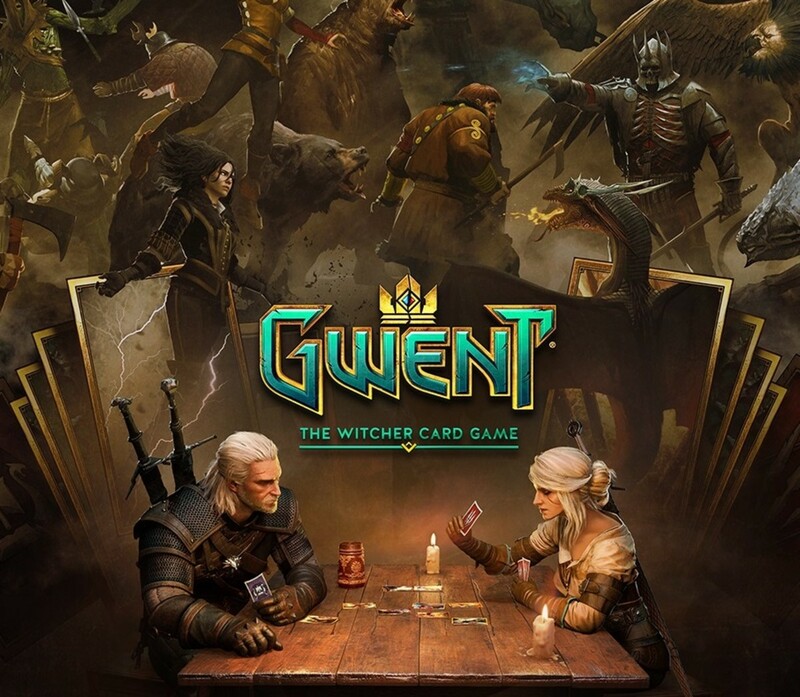 In addition to simply being a fun diversion from your adventuring, you'll earn crowns and various resources as you win Gwent matches, and you can even nab some experience points by completing its quests. 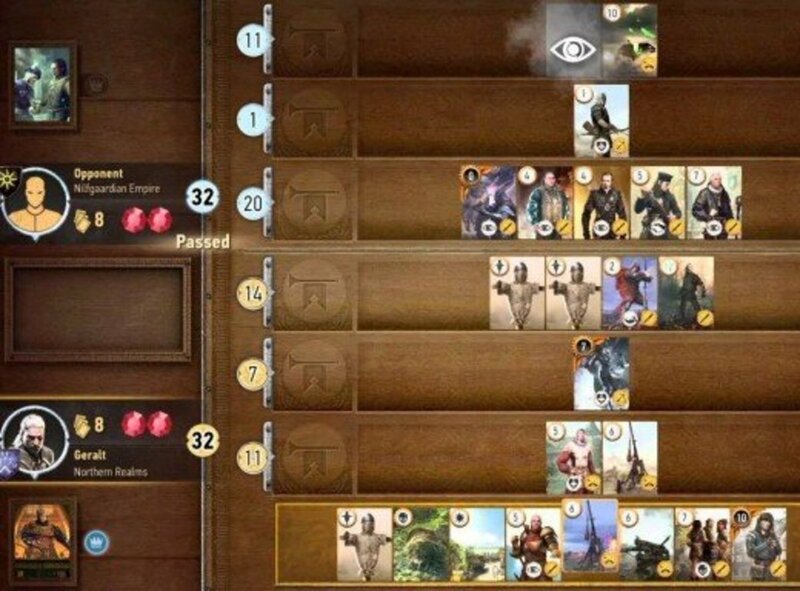 Gwent''s computer handles any calculations (constantly displaying the total combat scores of both sides), and it's one of the best fictional card games ever made, combining ease of access with engaging collectable cards. You can further enjoy the game with various downloadable content, but for now, as we eagerly await future Gwent expansions, vote for your favorite faction and I'll see you at our next gaming countdown!